Fed Vice Chair: Current Economic Expansion Will Be "Longest on Record"
Furthermore, the global volume of trade in goods and services will increase 3.4 percent in 2019, which represents a drop from the 3.8 percent gain last year. The IMF, however, did mention that recent policy implementations like the U.S. Federal Reserve keeping interest rates steady are positive signs moving forward. Domestically, Wall Street analysts are expecting a less-than-stellar earnings season for the first quarter as big banks like J.P. Morgan and Bank of America are scheduled to kick off reporting on Friday. Investors are looking at a 4.3 percent year-over-year reduction in earnings growth, according to FactSet estimates. 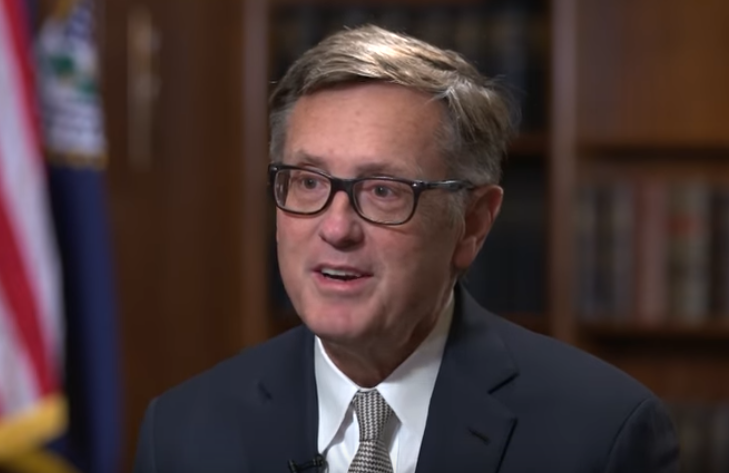 “That said, the incoming data have revealed signs that U.S. economic growth is slowing somewhat from 2018s robust pace,” Clarida said in remarks prepared for delivery at the Institute of International Finance policy summit. Clarida also acknowledged that economic pressures abroad remain potential headwinds moving forward. “Prospects for foreign economic growth have been marked down, and important international risks, such as Brexit, remain,” Clarida added. Meanwhile, investors are also grappling with their own patience on a U.S.-China trade deal. In an interview with CNBC, veteran trader Art Cashin echoed the worry of investors on whether a U.S.-China trade deal is actually on the cusp of materializing or not. The idea of the trade war continuing would certainly send the markets south. Combined with fears of slowing global growth and a reduction in corporate earnings, an ongoing trade war would certainly add to the growing wall of worry for investors. “If it began to look like a semipermanent trade war, the market would definitely sell off,” said Cashin.